Is the track pants trend still sticking around? We thought it was on its way out, but stylings from Kourtney Kardashian and Selena Gomez have proven otherwise. We’ve also spotted Jessica Alba wearing them with a printed white top by Zoe Karssen and a gray Heartloom mesh sweater. Not only that, but Kendall Jenner wore hers with a matching Vetements hoodie. These stylish celebrities have elevated the humble track pants and made them look cool not just for the gym, but also for daily errands and a lengthy airplane trip. It’s hard to blame them! 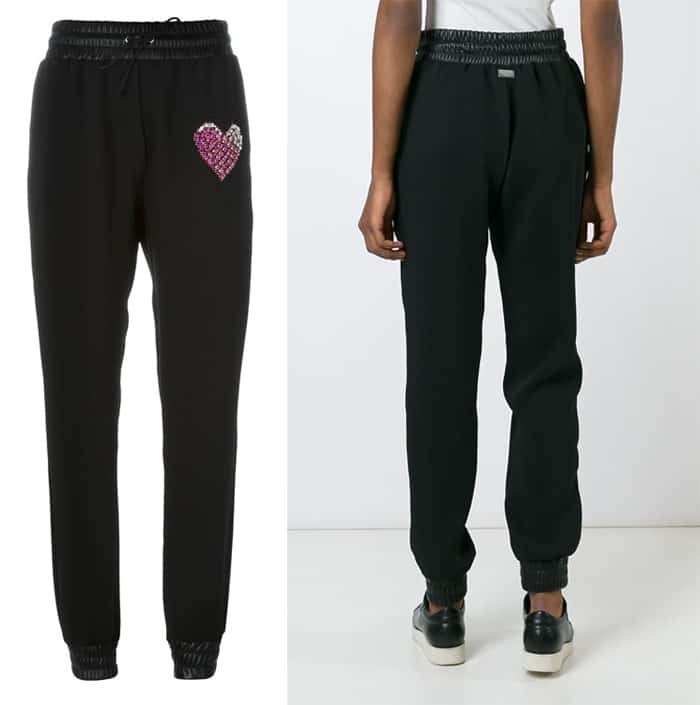 Trusty and comfy track pants seem like a great fit for long-haul flights and mommy errands. They have the comfort of sweatpants but the appeal of dressy pants. Mom-of-three Kourtney Kardashian strategically dressed in a pair of rouge Zadig & Voltaire “Pomelo” pants to keep comfy while attending to mom duties. She wore the red track pants with a black tank top, black pumps, and Fendi’s Peekaboo mini beaded flower satchel bag. This look is simple (for a Kardashian!) but really speak volumes because of the red pants. We also love how she turned to basic pieces such as the tank top and the pumps for some classic flair. The 23-year-old pop singer wore a pair of white sandals with her Vetements cut-out cuffs track pants, giving a sophisticated panache to the otherwise sporty pants. Selena Gomez also wore the matching Vetements hooded logo print sweatshirt, Louis Vuitton’s “Trocadero” bag, and Christian Dior Dior “So Real Clubmaster” sunglasses in black. What do you think? 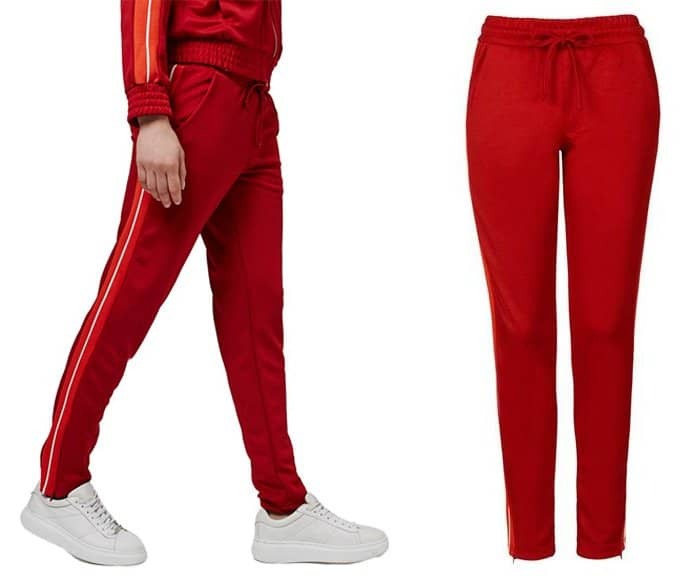 Is there a chance track pants are going to become a style staple now? A must-have piece and not just a passing trend? Orange-and-white racer stripes down the sides rev up the vintage athletic styling of chic red pants in a soft knit with a stretchy drawstring waistband and hidden zips at the ankle. 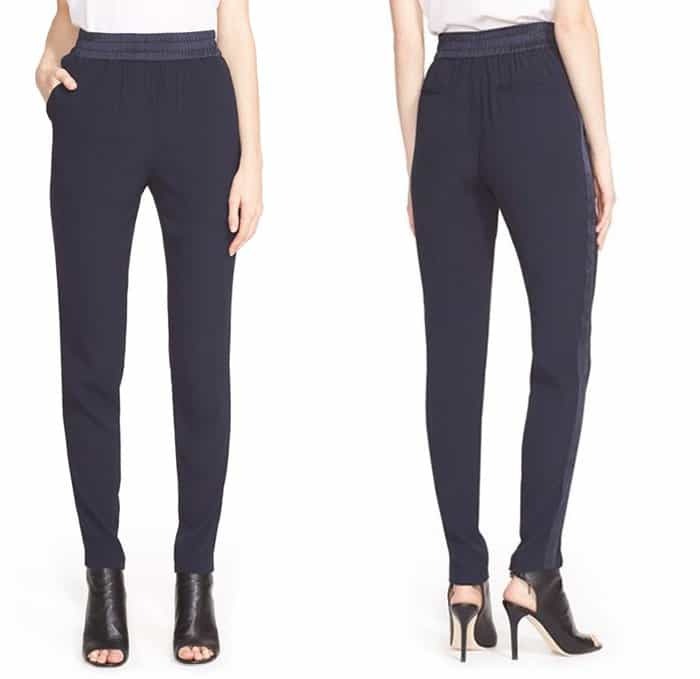 Comfortable casual pants in a tapered-leg cut are elevated in fluid crepe with tonal tuxedo stripes running down the sides. 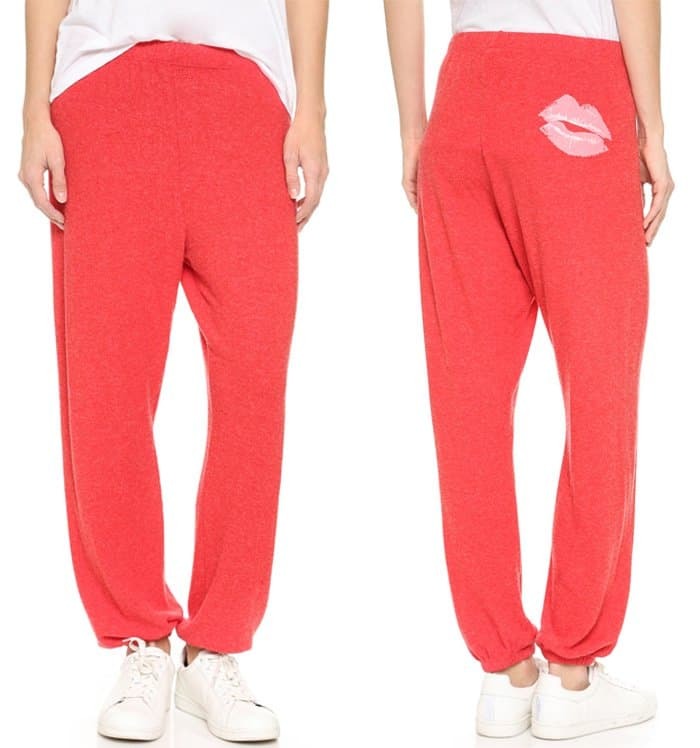 Super-soft, slouchy ariel-colored sweatpants, detailed with a lipstick kiss graphic at the back. Selena and Kourtney show that these stylish pants have officially made the transition from gym wear to cool-girl go-to. Just make sure to style them with a classic flair. Consider a pair of heeled shoes to go with them.